TGIF, y'all! Please take the time to read my simple guidelines for joining the party here before you link up this week. Thanks! I've got my fingers crossed that I will sell our double stroller today at a local consignment sale. I get to spend the whole day at my friend Heather's house on Saturday for a MOPS leadership retreat, and there's a baby shower planned during Sunday School on Sunday...have to find the time to bake up a chocolate chip coffee cake! 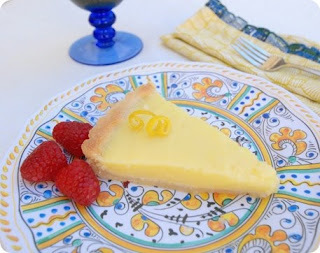 ~Kate shared a mouth-watering Lemon Tart Recipe. ~Kendra hosted a Back to School Luncheon. ~Mary Joy is starting an Encouragement Revolution! I love this concept. Mary Joy is writing about encouragement through blogging, commenting, and joining in blog parties. She's even featuring me today, so be sure to head over to Seeds of Encouragement Sewn with Grace! 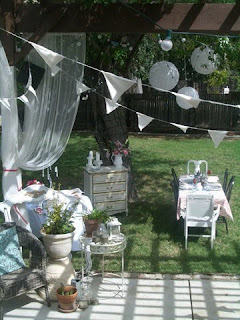 ~Ashley threw a lovely little Backyard Party. ~And me? 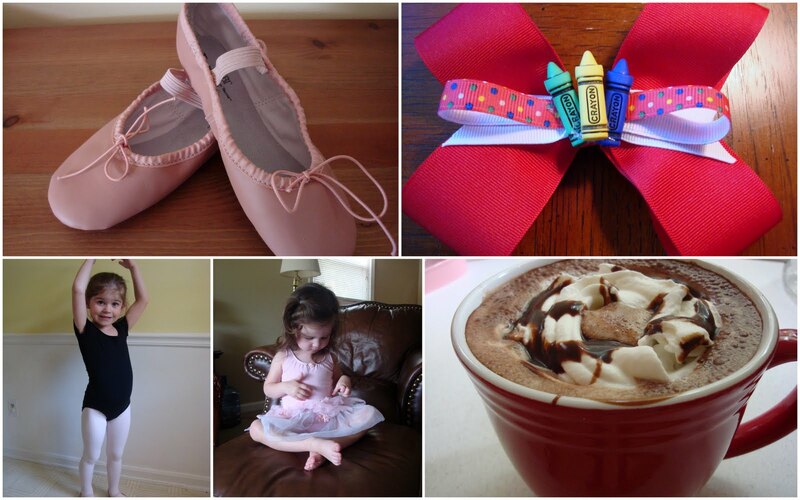 On Monday, I wrote about my *Real* Labor Day and on Tuesday I shared a picture of Natalie's Back to School Hairbow. I had a nice little Coffee Break on Wednesday, and yesterday was all about The Stealthy Ballerina. Good times. Disclaimer: I would love to have you join me for a little linky party this week, but I ask you include a link OR my party button in your post. One or the other. Or both. Whatever you prefer. The button code is below if you want it. But please adhere to basic blogging etiquette and link back to me within your post. My blog is small. My parties are small. So I really do rely on those link-backs to help spread the word. Stepping off my soapbox now....Happy to have you here! Yay! It's Friday again. Looking forward to checking out all the great weekend reads!!! Thanks for posting and hosting! Thanks for the shout out! Your parties are always so much fun! You had a great week on your blog! My favorite was the 007 Ballet Lesson Day...what incredible memories you are creating together. I can't wait to visit all of your party-goers! Have a great weekend and thanks for all of the great reading suggestions. I am honored to be one of them! Still love those bows! And, no I didn't cry. I don't think it's really hit me though, I keep waiting for it to be over and have her home with me. I'm so excited to join the party! I have a no-computer rule for the weekends (for the most part) because my husband comes home Thursday night so I try to give him the attention he needs but he's gone for a month. :( I had to implement the computer time again to have something to do... Other than dishes or laundry! Hi Amanda ~ thanks for hosting the link-up party! What a great way to get new ideas and make new blogging friends :) I live in VA too and love, love, love Target. YAY, I made it this week! :) THanks for hosting, Amanda! 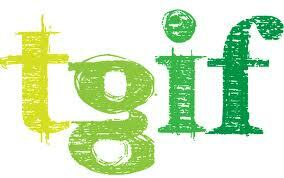 Have a great weekend... so glad it's Friday! TGIF and not TGIS (Sat/Sun) because today I can ignore the nasty carpet on my stairs. Tomorrow I cannot. Riiiiiiiip. Thanks for the linky love friend, have a wonderful weekend! I love those sweet pictures of Natalie's dance class. Can't wait to check out everybody's links. That garden party looks AMAZING! Thanks for hosting! Have a great weekend. Good luck getting rid of your stroller! I hope you have a great weekend! Good luck with the stroller! Good luck with the stroller sale! I imagine that's a much sought-after consignment item! Yay! I got my post to link up- all.by.myself:) Have a great weekend! Just linked up!! Love seeing what's going on in blogland! Thanks for hosting! Hope you do well at consignment! Good luck on selling your stroller. There's got to be someone in your area who will be delighted to purchase yours. Won't you be glad to get it out of your way? It must be taking up a lot of room somewhere in your house. Have fun with your MOPS girls this morning. oh yum yum, that lemon tart looks DELICIOUS! I might have to make that sometime soon!